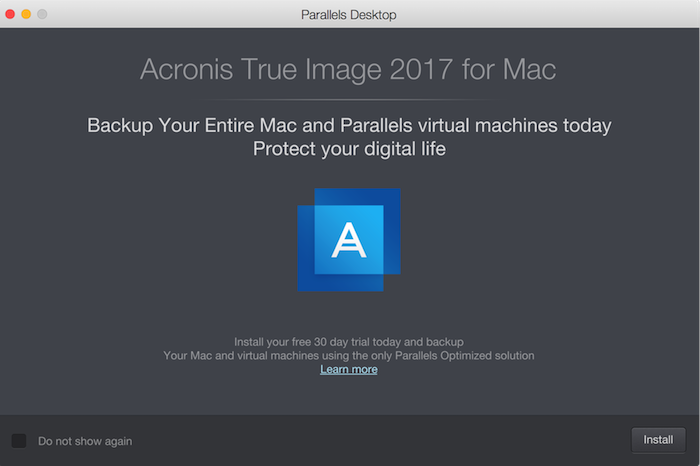 NOTE: Parallels Desktop 12 for Mac users receive a special offer: a one-year subscription for Acronis True Image + 500 GB of Acronis Cloud. For more details about the offer please visit KB 123870. To install Acronis True Image, open Parallels Desktop 12 > click on the Parallels Desktop menu > select Backup with Acronis True Image. Once Acronis True Image is installed, it will prompt you to enter an activation key. If you would like to use the 30-day trial included in Parallels Desktop 12 for Mac, click on Start Trial. 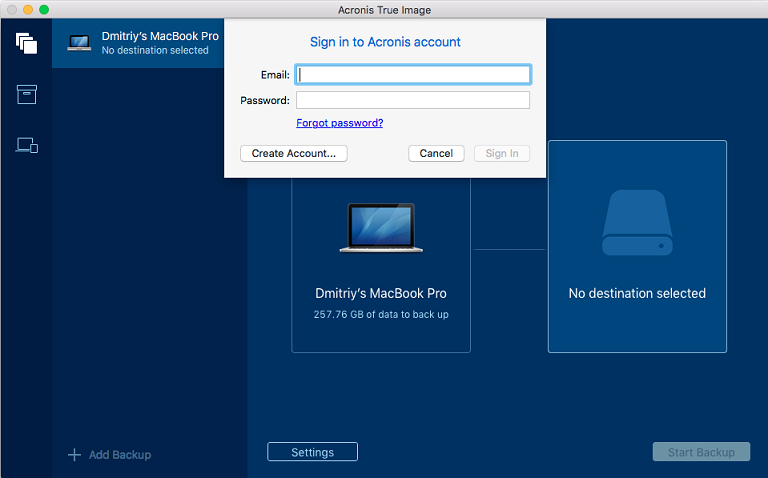 You can start using Acronis True Image after signing in. To learn more about Acronis True Image, refer to the Acronis True Image User Guide or visit the Documentation page.